A few days ago, one of my friends asked me a question how to recover Chrome history as he cleared browsing history and other data by mistake. Recently, many questions about Chrome history recovery can be viewed on internet. So, I decide to share some useful advice on how to restore Chrome browsing history files as follows. Surfing on internet via Google Chrome is very common as it owns a mass of users around the world. During you browsing, every visited website will be recorded in browsing history so that if you want to visit again one day, you can find and access it easily. To some degree, Chrome history is of importance. Solution One: Make Use of DNS Cache to Recover Lost Chrome History. If you don’t have any third-party Windows or Mac data recovery tool, you can try this way. Just follow the steps displayed subsequently to recover lost Chrome browsing history. 1.Click "Windows + R" keys at the same time and type "cmd" and click "OK" button. 2.You will see Command Prompt, in which type "ipconfig/displaydns" and hit Enter to continue. 3.Websites you visited recently will be demonstrated there. You can view them to find the needing ones. This method is fast but it has a limitation that only domains can be seen while particular pages you accessed can’t be displayed. So if you want to recover all browsing history, this means may be not so helpful. If the former one methods don’t work very well, it is time to choose a chrome history recovery software to conduct the task. iBeesoft Data Recovery is absolutely the best choice. Undoubtedly, with the distinguished performance, it enables you to recover Chrome history as well as other data, including word document, picture, video, application from storage device. Now, let’s go to see a simple tutorial on how to restore Chrome history bookmarks by using this software. In addition, iBeesoft Data Recovery also supports external device data recovery. 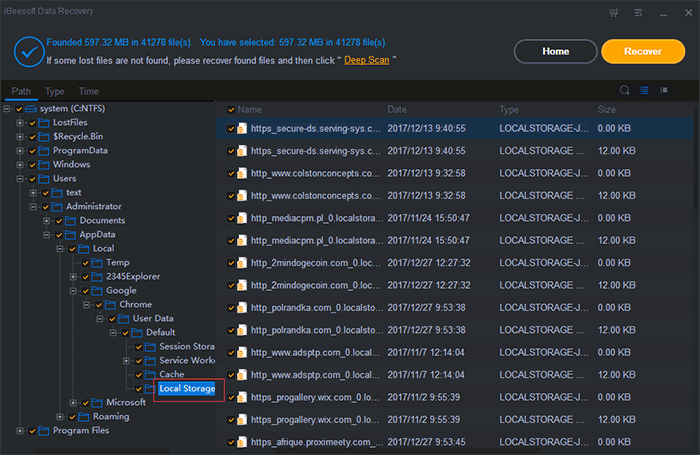 So, don’t worry when data loss accident happens to your SD card, pen drive or external hard drive because this practical recovery software can fix all data loss problems on every common storage device. 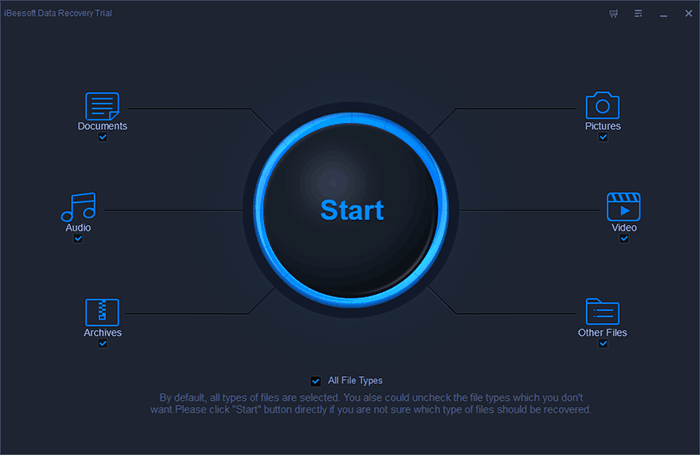 Download this data recovery software if you are encountering such issues. How to use data recovery software to recover chrome history? Step1: Launching this chrome history recovery software and click "Start" button to start recover chrome history. Step2: Select your system disk/partition( ) and click "Scan" button. If you import bookmarks into other partitions, you need to select the corresponding location. Step3: Perform Chrome history recovery, after the completion of the scan. Select the location where the Chrome history files and click "Recover" button to save them. 1.Find your Google Chrome location, usually C:\Users\Username\AppData\Local\Goolge\Chrome. 2.Right click on User Data folder and hit "Restore previous versions" option from the menu. 3.Choose the desired version and click Restore button. This way aims at recovering Chrome data (such as browsing history, bookmarks, passwords and other settings). But if the "Restore previous versions" option is unavailable, unluckily, you can’t recover them as this feature is disabled on your current system.